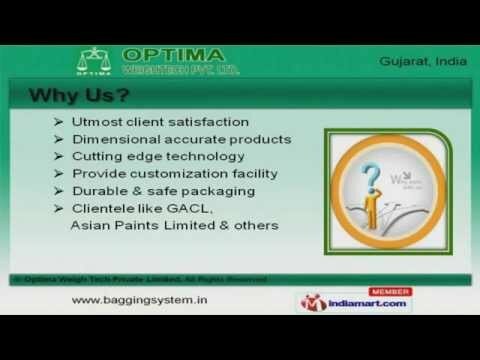 Welcome to Optima Weigh Tech Private Limited, Manufacturer and Supplier of Weighing Systems. The company was established in 2009, at Vadodara, we are Certified by NABL. Our Experts & diligent workforce make us different from others. G A C L and Asian Paints Limited are some of our esteemed clients and we are backed by Durable and safe packaging. Load Cells, Weighing and Drum Filling Systems are some of our products and services. We offer a wide assortment of Weighing and Drum Filling Systems that are superior in performance. Batching Machines and Bagging Systems offered by us are acknowledged for their functionality. Along with that we offer Load Cells and PH Meters that are extremely reliable. Our Standard Weights and Printer Mechanism are a class apart. We also provide Repairing and Maintenance Services that are cost effective.